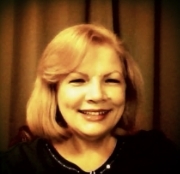 October’s Ask the Author is Brenda J. Webb! Darcy and Elizabeth: A Most Unlikely Couple. Don’t forget to check out the GIVEAWAY Brenda is offering! Details are at the end of the interview! Hi Brenda, and welcome to Ask the Author! I am thrilled to have you volunteer for the gauntlet, and I look forward to your release of Darcy and Elizabeth: A Most Unlikely Couple! I am so proud you asked me, Leslie. This is my first time answering questions from the audience, as it were. I can’t wait for the book release either. 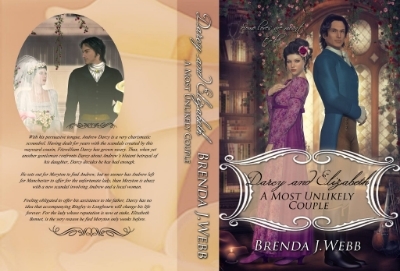 For those who happen to be unfamiliar with Brenda’s work, she is also the author of Fitzwilliam Darcy: An Honourable Man and Mr. Darcy’s Forbidden Love. If you haven’t read either of these works, I urge you to check them out! Brenda included blurbs for all of her books, and I will post those at the end of the interview for anyone interested. I know you are likely eager to read Brenda’s answers—that is why you are here after all, so let’s get to it. Our first question is from fellow author, Cat Gardiner. Hi L.L and Brenda! Well, I would like to ask the author where she gets her inspiration and when does she find the time to write such long, engaging stories filled with excitement? What feeds the muse – people, music, movies, or a mint julep? Hi Cat and thank you so much for your question! I get my inspiration from a lot of things, but most especially love songs (ballads) and really old movies (think 1930s, 40s and 50s). Years before I started writing Jane Austen fanfiction, I enjoyed reading novels like GONE WITH THE WIND, DR ZHIVAGO, NORTH AND SOUTH, CROSSINGS and WINDS OF WAR. Let me quickly add that I am not comparing myself to those authors, but their books influenced my style of writing. Though I have written some shorter stories, my joy lies in writing long stories that take the reader on a journey. Do you have anymore plot bunnies to write?? So nice to see your name, Carmalee. I always have lots of plots going through my mind. I write them down so I won’t forget them by the time I get around to starting another story. My next will be one that I wanted to write before AMUC, though I changed at the last minute. Do you plot the whole story in advance or do you have the general idea and then write as you go? Thank you for asking, Jennifer. The answer is yes and no. I have a general outline in my head that includes the entire story. But I write without an outline and the plot often changes as I write. The subplots come to me as I write the main one. I’m wondering if your characters sometimes develop a mind of their own? If so, how do you rein them back within the confines of your story, or do you even bother? They certainly do! As for reining them in, it depends. If I like the direction they have chosen, I go with it. If not, then I make them be quiet and mind. How do you come up with such uniquely evil villians? of all of the villians you have created which one if any resembles a real life person? or are they just a conglomerate of different people? or just totally made up? Another great question, Carmalee. I think they are a conglomerate of a lot of people I have met and those I have read about in books and newspapers. I do tend to exaggerate their worse traits and actions. If you get a writers block, how do you overcome it? Hello, Maureen. That’s something I am often asked and I have been lucky for this has rarely happened to me. I have been too upset over something, or too sick or too tired to write, but I don’t see that as writers’ block, which I think of as not knowing where the story is headed. However, if I do not feel like writing, I force myself to do it anyway. And, at some point the muse takes over. How would you advise someone who would like to write but has yet to start? 1) Consider your language, punctuation and vocabulary skills. If you are lacking in these, you may have a hard time finding a beta willing to correct all the mistakes. And, I have found that good betas are hard to find for they have all turned to writing! If you opt to send your story to an ‘online’ editor, I would suggest writing modern tales, for some online editors may have no idea about Regency customs or language. 2) Next, do you have good storytelling ability? Some people can write well technically, but their plots lack originality and/or believability. 3) Third, do you know the terms a writer would know? What is point of view? What is telegraphing? Showing versus telling? If you don’t know, you need to find out. You can take a course on writing online. 4) If you plan to write Regency JAFF it would help if you knew what makes sense for that era. For instance, I have seen stories where Darcy or Lizzy are given such severe injuries that would likely have died but they are walking around in three weeks. Even broken bones were serious enough to cause death. And, Americans and Brits have different names for the same items, not to mention that it might be called one thing in 1800 and something entirely different today. There is a lot to consider. Perhaps a few questions on your new book, Darcy and Elizabeth: A Most Unlikely Couple! Darcy and Elizabeth have a tough start in this story. Everything is not hunky-dory at Pemberley in the beginning of their relationship. What prompted you to take this direction? It is simple; I think conflict is so much more interesting. Unfortunately, or fortunately, depending on the reader, I write what I like to read. 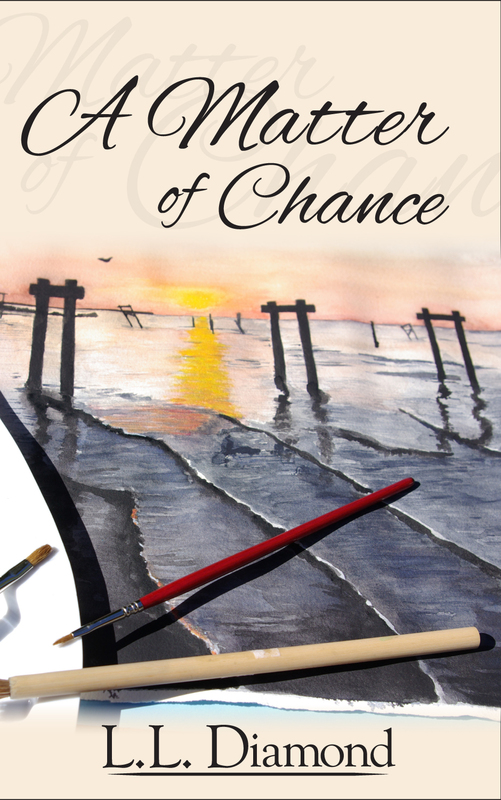 Usually, your Darcy and Elizabeth are not at odds from the outset as they are in A Most Unlikely Couple. Your earlier books have them in love and having to overcome obstacles in order to be together. How different was it to write this Darcy and Elizabeth? 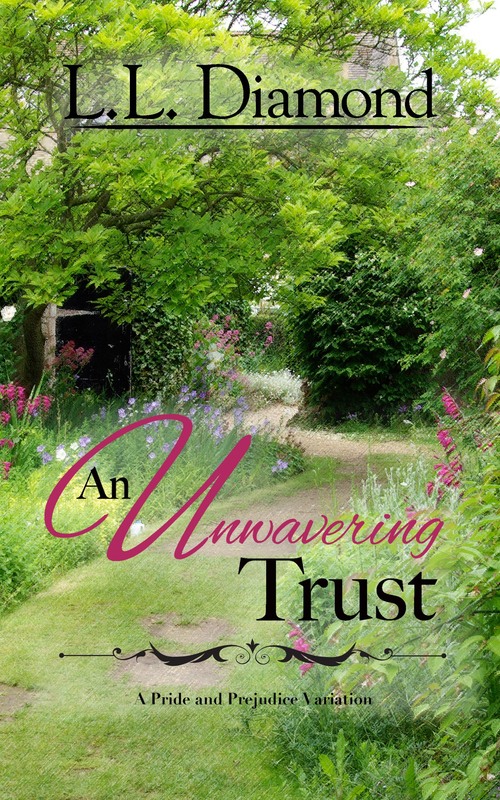 I will admit that writing this story, where there was so much distrust from the start, was harder. Mainly because I knew my ‘angst-weenie’ readers would be upset over a longer period of time and they would beg me to make things right. I say that affectionately, for I suffer from the same malady when reading other people’s stories. 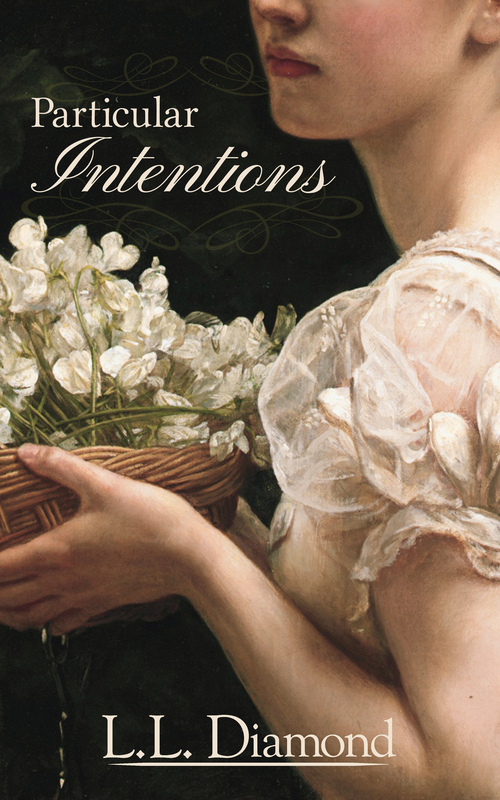 The original characters that you’ve introduced in this book—specifically, Lady Susan and Andrew Darcy, intrigue me. I’d like to introduce them a bit since they bring such color and depth to the story. Lady Susan seems to have an interesting backstory that is integral to the plot. Without giving anything away that would spoil the story, can you tell us a bit about her past and how it drives her ambitions? Lady Susan is an only child and a spoiled brat who has been a neighbor of Fitzwilliam’s since childhood. She fell in love with him as a girl and fully expected that her parents’ friendship with the Darcys meant that she would be the next mistress of Pemberley. Having never matured past the spoiled child stage, after she is widowed, she vows not to let Fitzwilliam slip through her grasp again. Andrew Darcy appears to be a complete antithesis of our beloved Fitzwilliam Darcy. Was this your idea in creating him—to form that antithesis? Or was he simply born as he was? Actually, I did want him to be the direct opposite of Fitzwilliam. The idea of having our hero following behind his look-alike cousin, trying to right his wrongs, appealed to me. A not so nice Georgiana is a concept that is near and dear to my heart. Austen does not give us much but the descriptions of others (Wickham, Miss Bingley, Darcy, and Col. Fitzwilliam) and a glimpse of her at Pemberley. Most fan fiction authors portray her as such a benign character. Did you feel you were taking a big risk in re-developing her as a troublemaker? All my books have been risky, as I don’t write canon and I love to do different things with Jane’s beloved characters. I got a lot of criticism for making Georgiana older, and married, in Fitzwilliam Darcy An Honourable Man, so I am used to that! I found that I had some readers who were very insulted by my portrayal of Georgiana. How would you defend your alternate view of this character? First, I believe every writer has the right to tell their story the way they wish and the reader has a choice not to read or buy it. In this story I needed Georgiana to be on Lady Susan’s side, so that meant she had to be older as well as in opposition to Fitzwilliam. So that is how she is written. Lastly, and on a different note, you’ve been campaigning quite a bit on a fundraiser for a little boy named Alex Martin so he can have a service dog? Would you tell us a bit more about it and how others can help? Oh, Leslie, you touch my heart by asking. Alex is the 20 month old son of a devoted Jane Austen Fan—Juilanne Martin. He has been presenting with a multitude of neurological symptoms which have caused him to regress in walk and speech. A fund page has been started online at http://gfwd.at/1qGep1m that tells his story and allows you to donate for a service dog. The dog will be able to alert his parents to seizures as well as prod his vocabulary. Seeing the dogs available, he was able to say “Cookie” which will be the dog’s name. On my forum we started a thread listing over 60 JAFF books by top JAFF writers. You may choose three from the list if you donate $25 to his fund. Of course all donations are appreciated, no matter the amount. If you wish to join http://darcyandlizzy.com/forum and get the free books you can find the list of books in the BALLROOM thread. Just pick out three you want and email me at the address on the thread. I will ship them free of charge! I like to consider how I would feel were it my child or grandchild, and give accordingly. If we all do something, we can get Cookie to Alex! Thanks, Brenda for stopping by and joining us! coming to Amazon in mid-November! Thank you so much for having me, Leslie. I have enjoyed answering the questions and appreciate all who stopped by to ask one. Brenda is not just giving away one, but three ebooks to people who leave a comment on her interview! Just leave a comment below for Brenda and let us know which of her ebooks you would like to win. It’s easy! I have to receive your comment by Tuesday October 28 to enter! Below are the blurbs to help you decide which wonderful read you want to win! Blurbs for each of Brenda’s books! When Fitzwilliam Darcy meets Elizabeth Bennet for the first time, he is already married to another woman. Forced into a loveless marriage to the widowed Lady Gisela Grantham because of his father’s sins, Darcy is obliged by honour to remain in the marriage to hide a dark secret. Darcy and Elizabeth, A Most Unlikely CoupleWith his persuasive tongue, Andrew Darcy is a very charismatic scoundrel. Having dealt for years with the scandals created by this wayward cousin, Fitzwilliam Darcy has grown weary. Thus, when yet another gentleman confronts Darcy about Andrew’s blatant betrayal of his daughter, Darcy decides he has had enough.He sets out forMeryton to find Andrew, but no sooner has Andrew left for Manchester to offer for the unfortunate lady, thanMeryton is abuzz with a new scandal involving Andrew and a local woman.Feeling obligated to offer his assistance to the father, Darcy has no idea that accompanying Bingley to Longbourn will change his life forever. For the lady whose reputation is now at stake, Elizabeth Bennet, is the very reason he fled Meryton only weeks before. Great interview! I love your books, Brenda, and own all but this newest one (so if I win that one, it would round out my set. LOL) It *is* hard to read them serially, but once I get a completed copy, I find I can’t put it down! 🙂 Thank you, Brenda, for sharing your awesome gift with all of us! I enjoyed this interview and all the questions! Brenda, you are a real sweetheart for all the care you express for others, and I am sure that Cookie will get to Alex soon. As for what you do with your characters, well…. Jane Austen herself wrote about spoiled people (Lydia Bennet, Maria Bertram), greedy people (Lucy Steele and Edward Bertram’s family), cads and rakes (Willoughby, Wickham), hypochondriacs (Mrs Charles Musgrove, Emma’s father, Mrs Bennet), vain people (Sir Walter Elliot), etc. Why shouldn’t you? Loved the interview! Great questions! I was especially impressed by the one for people who are thinking about writing (not that I am or would ever! ), but, I had to number one laugh because all of those terms you mentioned, I had no clue…and second, that one should figure out if they know how to tell a story to make it interesting or believable, that is so true! I love your stories, Brenda, as I have said many times. I still go back to “FD, an Honorable Man” when I want a feel-good, fully loveable Darcy. Great interview. I absolutely love “Fitzwilliam Darcy: An Honourable Man”. If I win I would like “Darcy and Elizabeth, A Most Unlikely Couple”. Thanks for the giveaway. Hi! A very interesting interview! In particular, I love reading answers about the author’s work (if she plots the whole story in advance or if her characters sometimes develop a mind of their own). I’d like to read “Mr Darcy’s Forbidden Love”, I like very much this kind of stories! I love reading interviews with writers. Getting to know what makes them tick, inspires them, how they write and what they do when their characters develop minds of their own is absolutely fascinating to me. I’ve only read one of Brenda’s books so far – FD, An Honourable Man, which I totally enjoyed. Such a different variation! If I was lucky enough to win in this giveaway, maybe I’d choose Forbidden Love, so I could catch up on the earlier work before reading the most recent one. Oooo, it’s a hard choice! Good luck with the new book, Brenda. What an interesting interview. It is nice to see what makes one of my favorite authors (and person) tick. I have all of her books and love them, I reread them and enjoy them as much as the first time read. Brenda really is a must read, must have book writer. This is a great interview. Thanks to Brenda, Leslie and readers who asks some good questions. I have her first two books so I would like to win Darcy and Elizabeth: A Most Unlikely Couple if I’m lucky. I really enjoyed your comments on beta readers (I do that for a couple of JAFF authors) and on lengthy books. I for one really like longer novels as I can get fully involved in the story over a period of time. I have read and thoroughly enjoyed An Honorable Man; if I am a lucky winner Forbidden Love or Unlikely Couple would be my choice. I am really enjoying your comments. Thank you for taking the time to read the interview and leave your opinion! Great interview!! I read two of your novels so I would like to win Darcy and Elizabeth: A Most Unlikely Couple becouse I miss it!! Thank you for a great interview, I have bought and read both your previous books kindle copies and have enjoyed them immensely. I love angst as it makes a JAFF story so much more interesting. If I am a winner I would choose ‘A Most Unlikely Couple’. Once again thanks for a great interview. Great interview, I loved how you were able to answer questions that were submitted. Your novels sound very intriguing and I look forward to reading them! Great interview. All the books sound amazing. I guess if I had to choose I would like to read Mr. Darcy’s Forbidden Love. Thanks to everyone who commented! The three winners have been selected (see my latest blog post on the home page), and the contest is closed. I have read Brenda Webb’s two other books and I was riveted. It was her work and her stories that gave me the desire to finally put my story to paper. Even though I can’t compare with Brenda’s story lines – it is enough for me to try my hand at it. I anxiously await the new book. I check everyday to see when it will be for sail. Oh, and if I win her book get I get an autograph someday she will be a most famous writer.